Seventy-nine percent of construction firms plan to expand their payrolls in 2019 but an almost equal percentage are worried about their ability to locate and hire qualified workers, according to January 2, 2019 survey by the Associated General Contractors of America and Sage Construction and Real Estate. A chief concern is finding qualified workers to meet demand. The solution? Hire veterans. Many transitioning service members possess the right skills, and many executed or managed construction projects while they served. Roughly 206,000 military service members transition to civilian life annually. Their technical skills and training make them ideal for roles including project managers, crew leaders, operations supervisors, maintenance technicians, and machine operators. Veterans have strong technical, analytical and creative building skills. Military construction specialists erect and repair buildings, bridges, foundations, dams and bunkers, and work with engineers and other members of military construction teams. They are trained in carpentry, building and masonry materials, joints and braces, and can interpret blueprints and drawings. Plumbers and pipe fitters install and repair plumbing, pipe systems, boiler controls, hydraulic and pneumatic systems, as well as soldering, welding, silver brazing and cutting. Heavy equipment operators work in every military branch in the construction of airfields, roads, dams and buildings. Military electricians receive instruction in how to install and repair electrical wiring systems, electrical circuit troubleshooting, safety procedures, and techniques for wiring switches, outlets and junction boxes. Veterans are uniquely qualified to assume leadership roles in the construction industry, and many already have experience with government contracts. The military experience translates directly into other construction roles as well: field superintendents, production managers, maintenance schedulers and lead product engineers. The military stresses teamwork and safety, so veterans come to the table with a heightened sense of duty. Military members use risk management processes and after-action reviews (AARs) to identify and analyze situations to create a safer work environment. An AAR gathers an entire unit to review the mission, identify improvement areas, highlight safety concerns, and create a plan to fix problem areas. Simply by serving, veterans have proven that they can think beyond just themselves. Many veterans have managed and maintained millions of dollars of equipment and led small teams. Veterans come equipped with troubleshooting and soft skills. They simply need training on industry-specific roles. 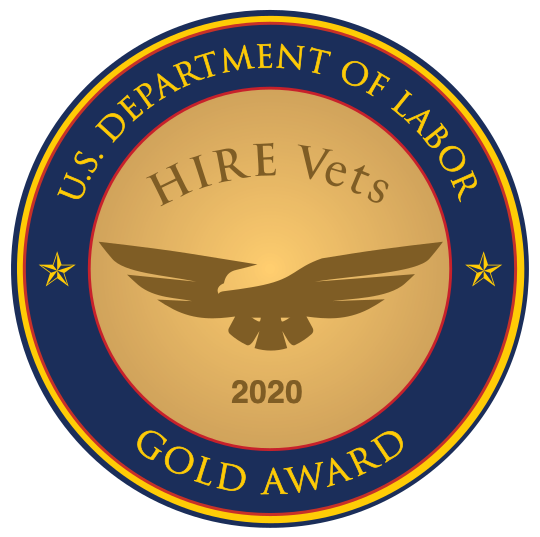 Industry experience is a short-term problem, but hiring military veterans presents a long-term solution. Bradley-Morris and RecruitMilitary, the national leaders in military-to-civilian recruiting, have solutions to connect construction firms with highly-skilled candidates to add to your team. Our candidate database houses more than 1.4 million veteran job seekers, many of whom are ideal for positions in the construction industry. More than 116,000 veterans attended 125+ RecruitMilitary hiring events in 2018, and thousands of them self-identified construction as a future work interest.